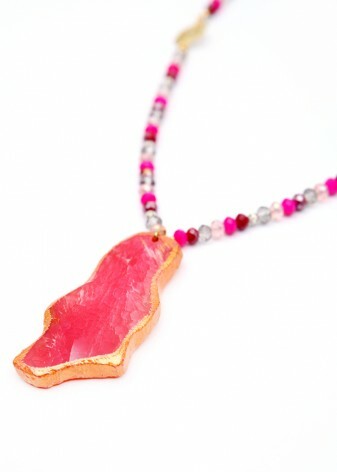 Go bespoke in one of DIWAH’s Agate slice necklaces. 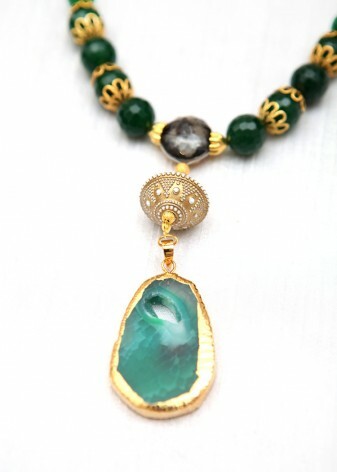 These intricately, elaborate designed pieces, are created with naturally forming, semi-precious agate gemstones. 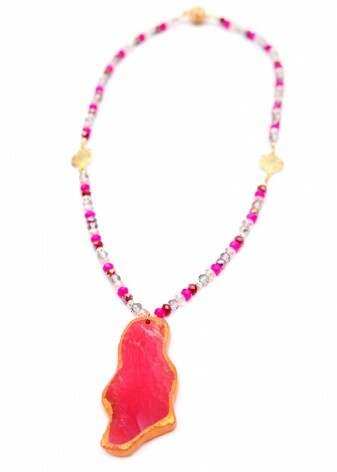 So if you want your look to be as individual as you are, shop our range of mesmerising agate jewellery! 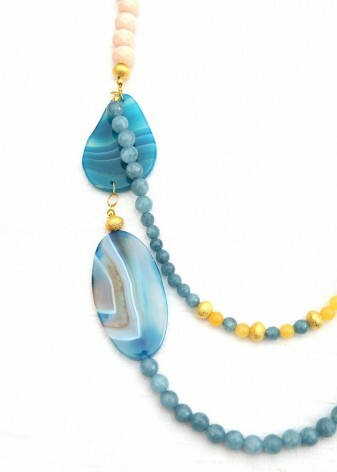 Agate is a beautiful semi-precious gemstone renowned for its diversity. This mesmerizing, naturally formed stone is featured in our collection in a varied of enhanced colours and shapes. So you can select the piece of agate that captures your unique style. 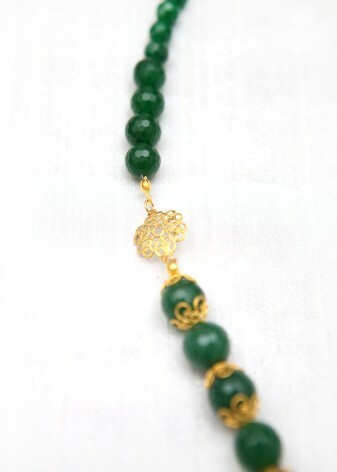 Everything we create here at DIWAH has been ethically sourced and made, so your conscience can rest easy too! Designed, carved and made right here in the UK, our team of skilled artisan crafts people ensure the premium quality of every piece of agate jewellery. 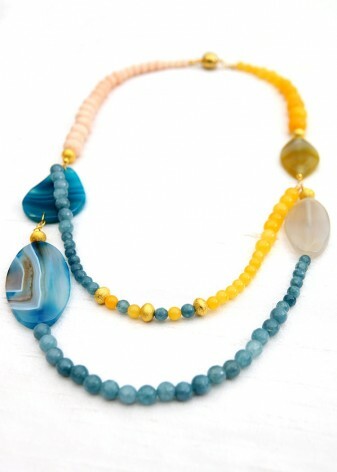 Why not pair a unique agate slice necklace with an ethnic kaftan and washed out jeans for a relaxed, bohemian vibe.